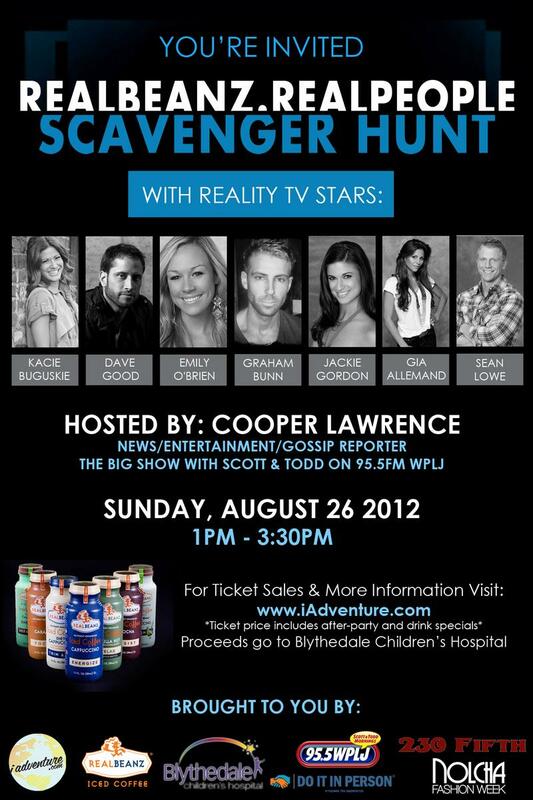 95.5 PLJ is teaming up with RealBeanz & iAdventure.com to put together a scavenger hunt focused around reality stars. 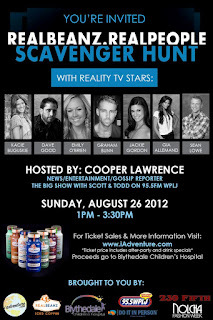 Participants will get the opportunity to partake in a scavenger hunt and follow their favorite reality stars around Manhattan including Bachelor and Bachelorette alumni Gia Allemand, Dave Good, Sean Lowe, Kacie B, Graham Bunn, Jackie Gordon, and Emily O'Brien. and the team with the most points at the end will be awarded the grand prize! *In addition to the grand prize, the top seven finishers will receive a pair of tickets to the next 95.5 PLJ concert. starting at 3:30PM at 230 FIFTH Rooftop Garden Bar and Penthouse Lounge. 1/2 of the proceeds will go to Blythedale Children's Hospital!